Founder and Sporting Director, Liam O’Brien is both a US Soccer and English FA certified professional coach from London. He played at Professional Academies in Europe, competed at the College level in the USA, and as a Semi-Pro player in the PDL League. Liam was recently Developmental Academy Coach with MLS side, Orlando City Soccer Club. 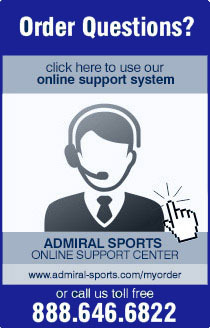 "Inter Orlando Academy is pleased to announce Admiral Sports as our Official Uniform Supplier. Admiral is one of the most prestigious Uniform Suppliers in the world and has a history working with some of the biggest Professional Soccer teams. The quality of their uniforms and the service that we have received, has been outstanding. The goal for Inter Orlando Academy is to identify, develop and help place players into the Professional level, and I believe that Admiral is the best fit because they’re flexible and have all the items we need when we need them. We are looking forward to a long and healthy working partnership!" said Liam O'Brien club President. Admiral is a legendary brand, having been worn by some of the biggest names in the sporting world. The England National Team, Manchester United, and the New York Cosmos are just some of the clubs that once wore Admiral. In fact, Admiral has supplied most of the current English Premier League in addition to being the largest brand in the original North American League. The company, a pioneering brand in the truest sense, was the subject of a British TV documentary called Get Shirty. Today Admiral is a major player in the North American and international markets. The company is one of the largest soccer brands supplying professional teams in the U.S. in addition to supplying many top clubs and academies in Canada.